First test will be unmanned. No monkeys will be harmed. 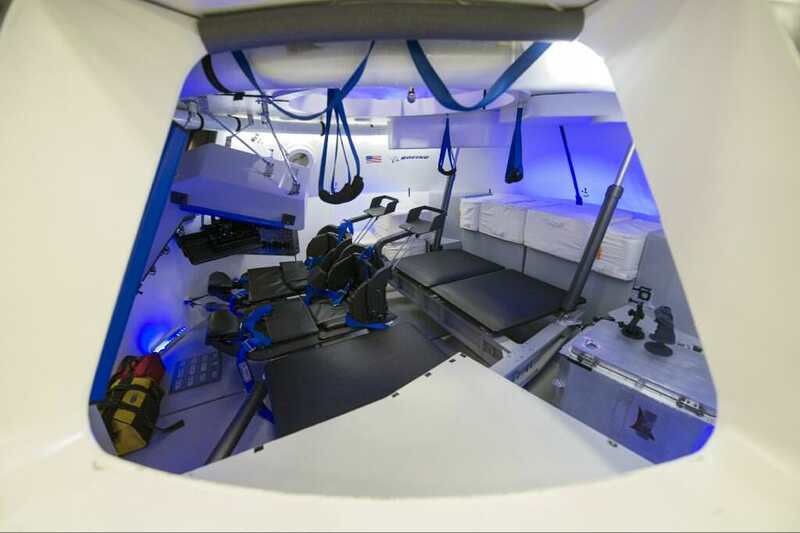 Since it’s a Boeing-built vehicle, I’m guessing that two people will fly in spacious, comfortable seats, and the other five will be crammed together with little shoulder-, hip-, and knee-room, and will have to pay extra to hook their suits up to the air supply. I heard in other posts (Ars, IIRC) that Boeing is still fighting with getting lean and mean, e.g. having a non-cost plus contract of a real COTS market. Which I believe the day ULA (with Boeing, I think) fix the new electronics for stand alone decision & command of a pad abort system. An outstanding item ever since the first round of commercial crew work, not fixed in the 2nd round, and the most delayed project of them all.